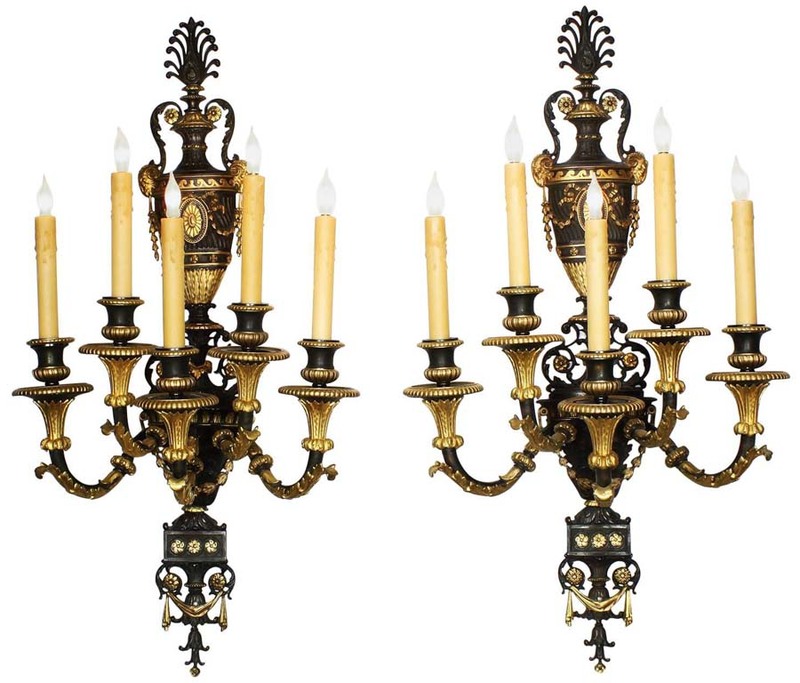 A Very Finely Chased Pair of French 19th Century Neoclassical Style Parcel-Gilt and Patinated Bronze Five Light Wall Lights (Sconces). The elongated dark patinated two-tone frames, each surmounted with a classical urn back-plate with floral wreaths and garlands flanked with a pair of ram heads and topped with an anthemion. 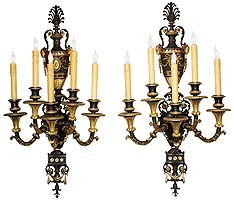 The lower section issuing five scrolling candle-arms, each terminating with a circular drip-pan and candle holder, and surmounted with acanthus, floral festoons, drapery and rosette decorations. Circa: 1880-1890.